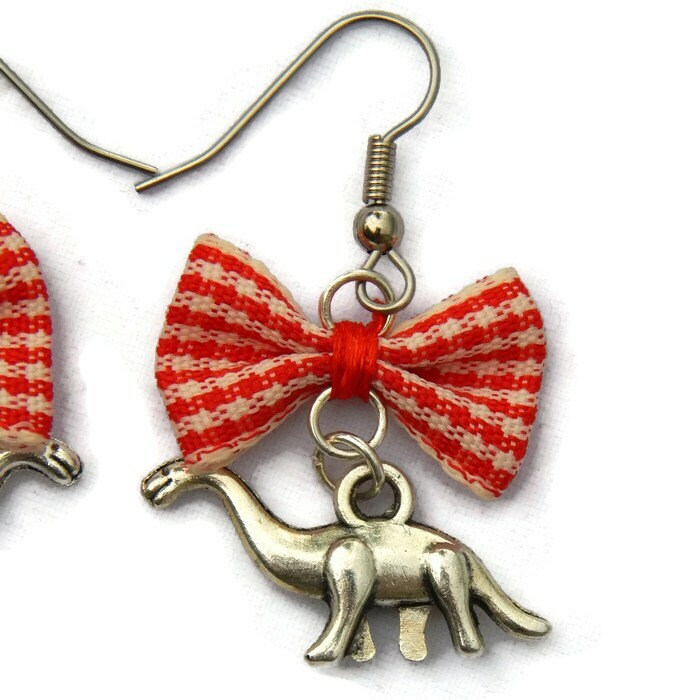 Retro and fun, these earrings are reminiscent of the gas station dinosaur and summer road trips. 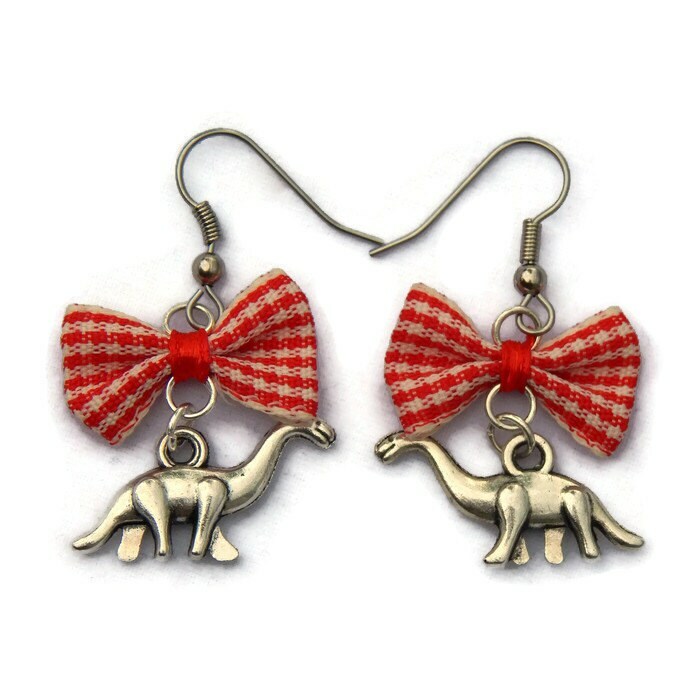 Timeless red gingham gives the fabric bow a vintage vibe as it sits atop a pewter brontosaurus dinosaur charm. 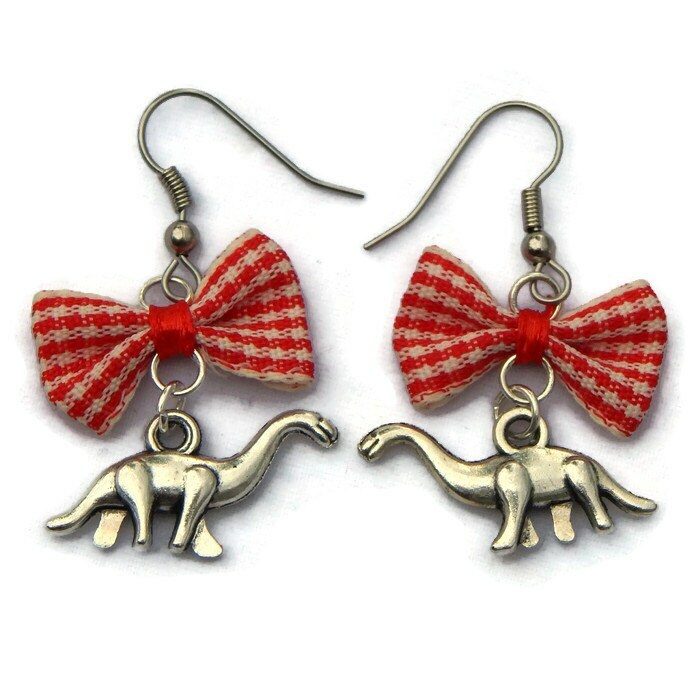 Big enough to be seen, but still lightweight, the earrings measure 1 1/2" long from bow to bottom of dinosaur and 1" wide at bow. Made for sensitive ears, the earrings are hung by nickel free earring wires. These also come with pink or black gingham bows, select your desired color under "Variations". Super cute and fast shipping! Thanks! Absolutely love these! Thank you! Super fast shipping!! Awesome quality!! LOVE THEM! I already had bought a pair for myself, these were for a friend who fell in love with them when she saw them. I LOVE THESE!! They are even cuter in person than online. They came quickly and I am so happy with them. I can't wait to wear them tomorrow!